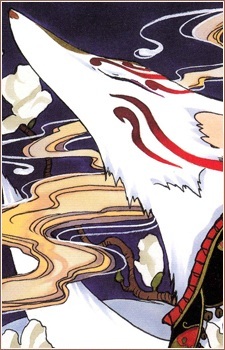 Mugetsu "Kudakitsune / Pipe Fox"
Ame Warashi passed it on to Yuuko, and it is rather valuable. This is the regular form, which is all snake-like and slithery. Regardless of that, it tends to get inside Watanuki's clothes, climb to his face, and caress him. It's really, really, really fond of Watanuki. Kudakitsune is the master of little hearts ♥. Also, it can't speak. It was named Mugetsu (no moon) by Watanuki, because its eyes are hard to see, and they look like a crescent moon in its big form. When it faces with evil auras, he turns into a nine-tailed silver fox. It can burn things with its breath and destroy things with its fangs and claws. Let's take a look at Watanuki Kimihiro's powers and other supernatural beings that he encounters during his adventures in this popular anime!